Fungal infections most likely give skin irritation, rashes, redness, itching, parched skin with lots of physical discomfort, and at the same time they give unglamorous vibes to the eyes. Fungal infection may occur anywhere on the skin, including face, hand, fingers, scalp, belly button, lungs, oral cavity, female reproductive organ, in between the toes, etc. 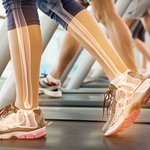 People may pick up local fungal infections from the swimming pools, sharing used towels or cloths, direct skin contact or the gym, thus it is essential to make certain lifestyle changes, especially for the frequent and recurrent fungal infections. There are more than thousand fungal species, but the common offenders are Tinea and Candida. There are countless over the counter medication available to treat and relieve the symptoms, including natural ingredients. What is fungus and where it thrives? Fungi are the micro-organism that thrive on the organic matters, can easily survive in water, air, plants and soil, widely exist on the earth and play an important role in various biological and physical environments, including human, they either support or adversely affect. Fungal infection mostly begins on the skin surface or in the lungs, through fungal spores that may be present in the soil or in the air; these spores may directly land on the skin surface or can be reached in the lungs through the airways. Infections related to fungus are easy to cure, if treated timely and correctly. Who is at the risk of fungal infections? Fungi may cause two types of infections: Internal or systemic infections (lungs, heart, brain, liver and kidney) and the external or local infections (skin surface, hair and nails) thus in both types of infections, external infections are more common in occurrence. 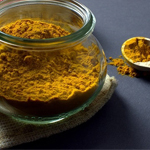 How turmeric helps in fungal infections? Turmeric is an incredible kitchen spice, which is an effective natural remedy to deal with any kind of infection. It also has significant antifungal activity along with anti-viral and anti-septic properties. Turmeric and its active ingredients lessen the recovery time and avoid recurrence of any fungal infection. Turmeric shows the promising and surprising properties regarding various fungal infections, it effectively inhibit s the growth of well know fungal strain, “Candida” and other harmful strains, which are mainly responsible for the various human ailments and the diseases. Turmeric works in a natural way compared to the antifungal medications that are generally linked with many harmful side effects. Turmeric leaves and roots contain essential oils that show prominent anti-fungal properties, and work against some common systemic and local fungal infections. •	1,8-Cineol, α-Pinine, Cinnamic acid, Eugenol, Geraniol, γ- Terpinene, Limonine, P-Cymene, and Xanthorrhizol, all these essential oils of turmeric inhibits the infection linked with a Candida group of fungi. These oils prevent the formation of bio films, which may cause, treatment resistance against some medications, and completely prevent the growth of certain fungi including dermatophytes. •	Alpha-terpineol wholly obstructs the growth of yeast, and strongly blocks all the strains of Candida and at the same time synergises the effects of anti-fungal medications such as fluconazole,itraconazole. •	Gama-terpinene weakens the fungal effect by changing cell membrane permeability of the fungi. •	Cymene compounds work against the resistant strain, where fluconazole doesn’t show any response to the infection. According to an extensive research, Curcumin is found efficacious against more than 20 strains of fungi, it prevents the sticking of Candida fungus on the human cells and it is found to be more active and potent than fluconazole, a most famous anti-fungal drug. Turmeric and Cinnamon both are strong anti-fungal agents that may help to treat ringworm, athlete’s foot, thrush and other infections related to Tinea species. Combination of turmeric and the cloves may help to kill toenail fungus and athlete’s foot and at the same time will boost the immunity. Clove oil is a potent anti-fungal agent; both will synergistically help and prevent any kind of fungal infection. 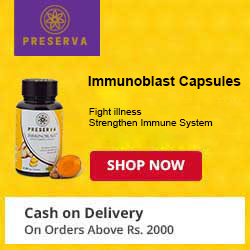 This combination is especially help to stop the overgrowth of Candida, drinking chamomile and turmeric decoction will significantly cure and strengthen the immune system as well. This is a most pleasing combination for all type of infections linked with fungi. Calendula has a significant anti-inflammatory and anti-fungal property that works wonder for various fungal infections such as toenail fungus, athlete’s foot and ringworm and its combination with turmeric will provide a soothing effect along with subsiding inflammation and redness. Other combinations such as “turmeric with Aloe vera” and “turmeric with Neem”, will equally work well for any kind of fungal growth and infection.